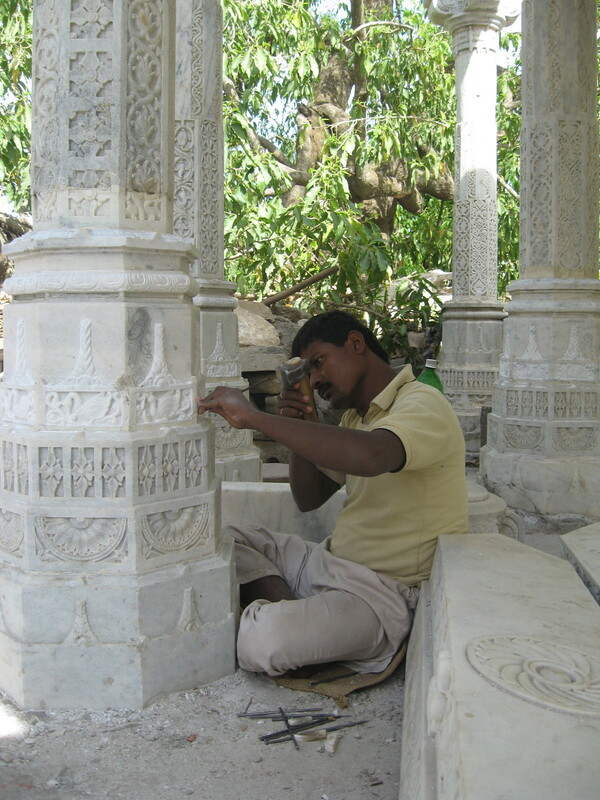 Also had the privilege of seeing some stone carvers at work. 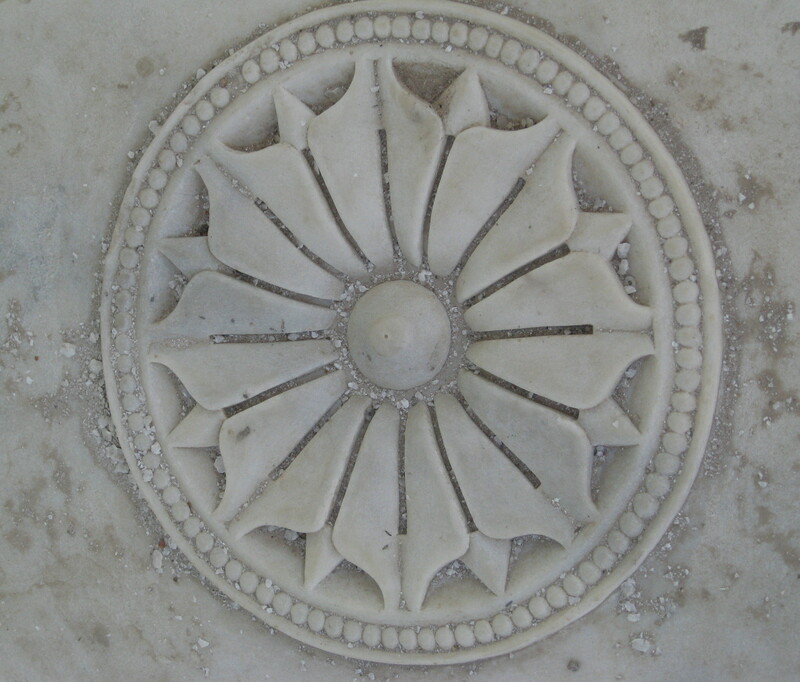 Have seen so much of the intricate stone carving on temples here but had no idea it is still a current art form, particularly amongst the Jain’s. 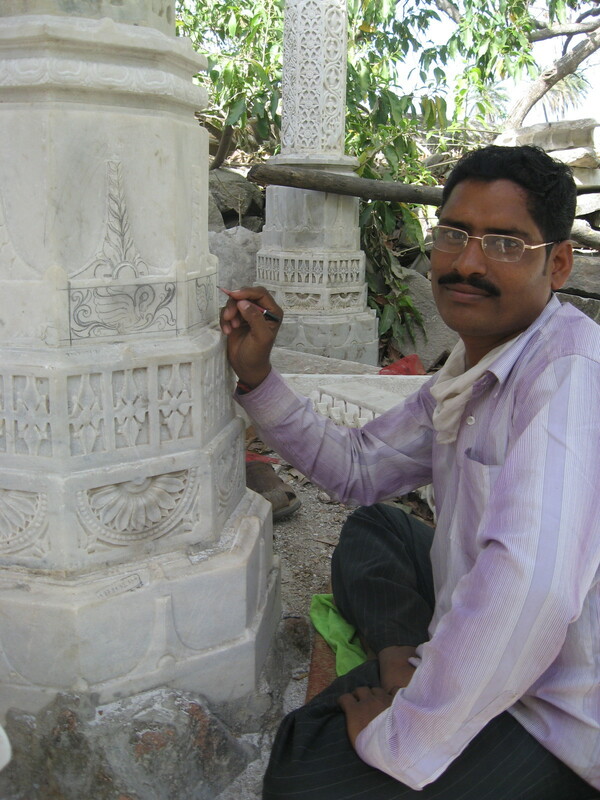 Saw the carvers at work at Mount Abu, a hill station in Rajasthan (will explain), famous for its Jain temples. Was fascinating to see their simple working process, marking out points with a ruler, then drawing out the designs in pencil, then the slow process of chiseling away the layers. Some of the simpler designs actually seemed to go quite quickly. I really liked the circular shapes they made. The repeated gentle chiseling sound echoing through the hot afternoon up there in the hills, is what will stay with me. It has been going on for centuries and little has changed. A good place to see Jain carvings in the UK is the Jain temple in Leicester. The carvings are about 20 years old now. 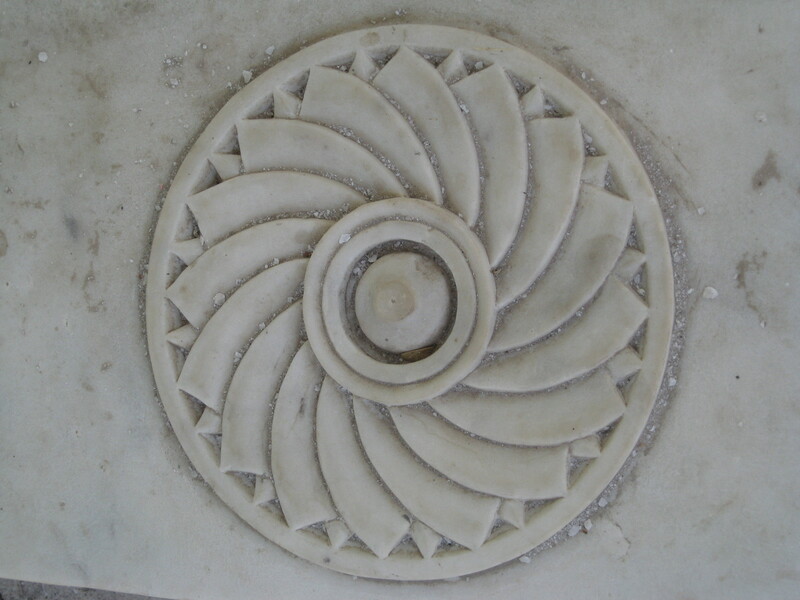 The sculptors were brought in from western India. The shrine is entirely surrounded by sculpture, both free-standing and relief, in soft stone. Obviously not on the scale of some Indian temples, but still very impressive and worth a visit. Leicester has a big Gujarati community with a lot of diversity within it – families from East Africa, Fiji, and other Commonwealth countries, as well as India and Pakistan, and lots of religious diversity, with Jains, Parsis, Christians of many denominations, Ismaili and Twelver Shi’a, alongside Hindus and Sunni Muslims. Lots of good food and fabrics. Please contact me with your telephone number for building a stone temple on outskrites of mumbai.